Location! Location! Location! Spacious Luxury Condo. One block to the beach. 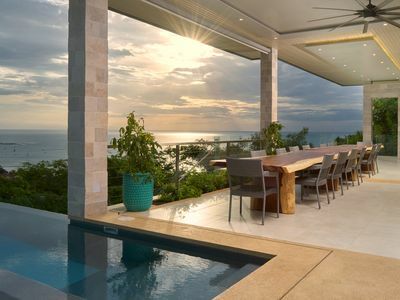 Welcome to the famous Monaco Condominiums! 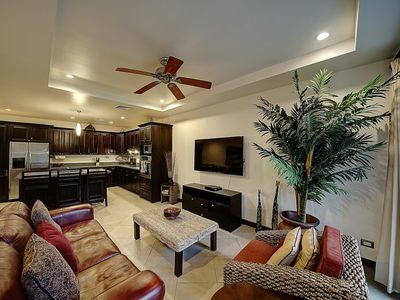 Enjoy a totally secure, controlled-access 1570 square-foot luxury condo, completely furnished, with many extras such as free WIFI, stainless steel appliances, flat screen TVs( in, DVD players, microwave oven, granite countertops, ceiling fans, tile and wood floors, washer/dryer, 2 baths, private verandas for each of the 3 bedrooms overlooking the adult swimming pool, with the family pool nearby. 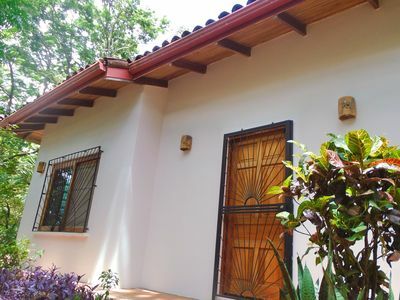 New luxury Rest-medic mattresses and hand made furniture from fine Costa Rican wood. 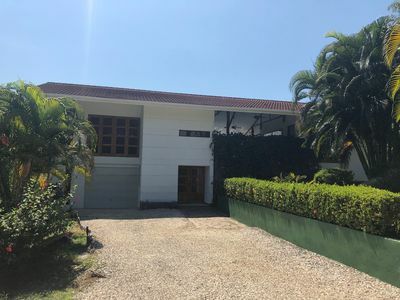 Magnificent rain forest landscaping throughout with spectacular tropical scenery behind the pools and a one block walk from to the beach from the front gate. 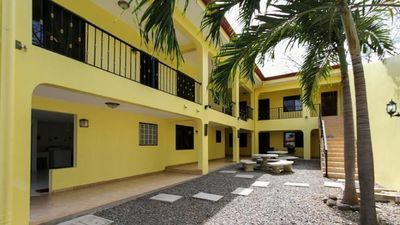 Central downtown location and an easy walk or if you're lazy a $2 cab ride to anywhere and everywhere in Jaco. 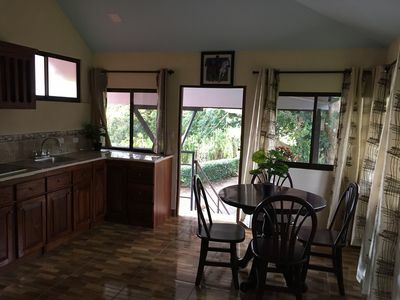 The property offers two swimming pools, a hot tub, a barbeque area, two elevators and rental office. 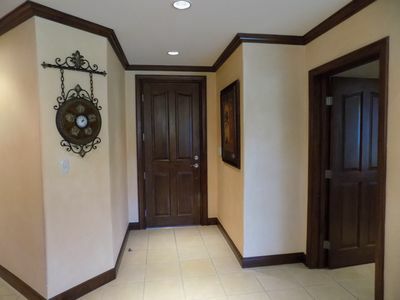 The property is gated and secured 24 hours a day by security cameras, motion sensors, and a security guard. Overnight guests are allowed for a small additional fee. 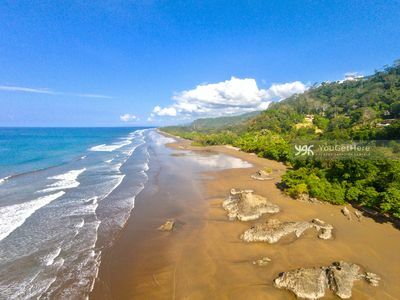 Costa Rica is the most preferred vacation destination in Latin America due to its natural beauty, its famously laid-back lifestyle coupled with an amazing variety of activities and perhaps most importantly, its safety and security. 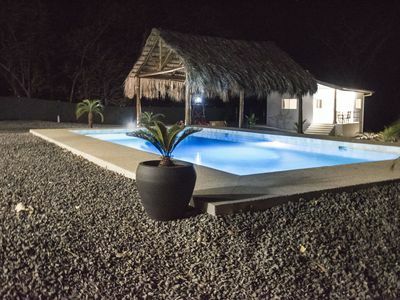 Simply put, when you are in Costa Rica the operative words are 'no worries.' 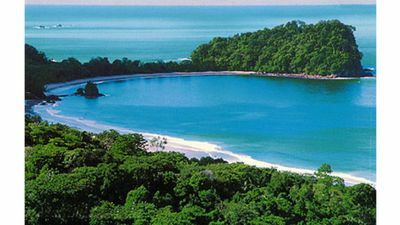 Among many other wonders, depending on the season you can watch whales in the bay, monkeys scurrying through the spectacular rain forest canopy, the sun setting into the ocean, swim, surf, sail and fish the ocean, hike or ATV into emerald-green mountains or view nature’s lightning show seemingly so near as if you could reach out and touch it. 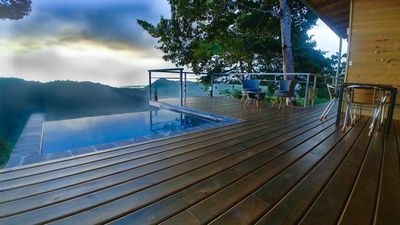 You can also simply relax in the evening on one of the verandas above the two pools and listen to the rain trickle through the trees while enjoying a favorite drink. 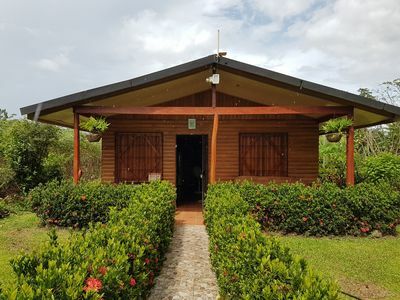 There is nothing quite as restful as sleeping through a warm Costa Rica night's rainstorm and opening your eyes the morning after to the crisp clean sky while having a fresh cup of incomparable Costa Rican coffee outside on your private bedroom veranda. 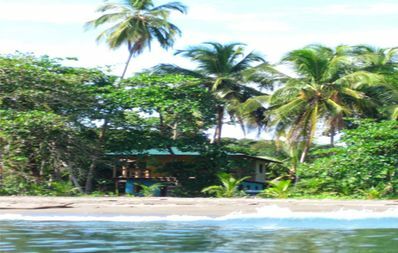 This slice of paradise is just a 3-minute walk to the center of Jaco. No car necessary while staying at Monaco, as everything you need is within walking distance or a $2 taxi ride. Walk to the supermarket, stores, restaurants, bars, nightclubs, full service spa, surfboard rentals (and lessons), ATV/motorcycle/car/bicycle rentals, canopy tours, sea kayaking, sailing, boogie boarding, snorkeling/scuba diving excursions, golf at the nearby Los Suenos resort, bird watching tours in neighboring Carara National Park, and take that quintessential Costa Rican vacation experience-flying through the rain forest on a zip-line, virtually any activity you can desire or imagine is here! 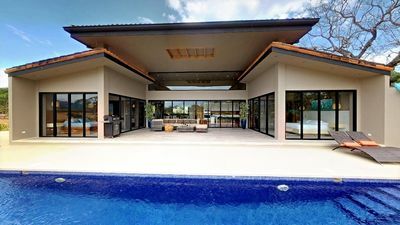 Monaco Condos also has a in house tour company that can offer discounted prices for all the tour activities as well as transportation offered in Costa Rica. Before you book an activity or tour, please check with our staff who are available to show videos of the activities and tours as well as provide advice on the best activity to suit your or your group. There are restaurants galore - anything from romantic and quaint to casual on-the-go. Steaks, sushi, burgers, Italian/pizza, fresh fish, to the signature dish of Costa Rica - gallo pinto,a tasty rice and beans concoction. Experience the fresh fish market to create your own favorite dish back at the condo. 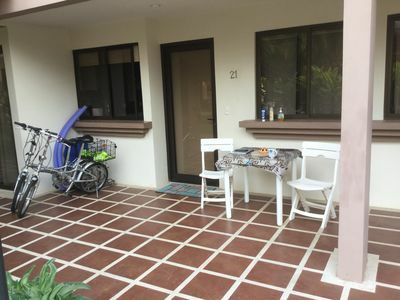 Take a casual walk in the evening and enjoy the nightlife of Jaco with its array of diverse people walking the sidewalks shopping, eating, drinking and enjoying the comfortable ambiance of the Jaco lifestyle. Additional Amenities: We can arrange for our guests' transfer to and/or from the airport in San Jose (a 87 Kilometer trip) or to any other desired destination, with an English speaking driver. We can arrange to stock your pantry and refrigerator, book world-class sport fishing on elite boats (or smaller ones) all complete with professional local crews. Want a private chef? 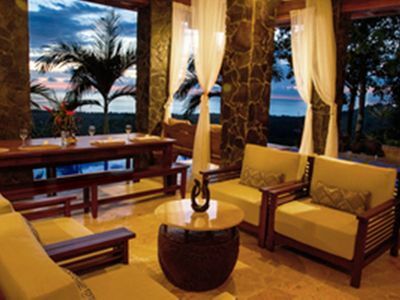 We can provide this along with most any other experiences you may desire while you are in Costa Rica. 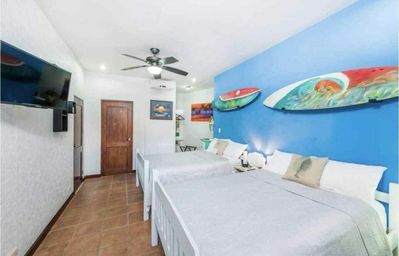 Whatever your getaway at Jaco Beach may require, rest assured you can find and do it all at a bargain price from this conveniently located and beautifully appointed condo. 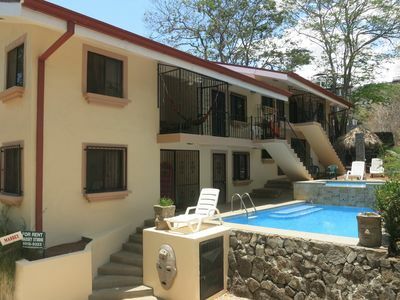 After one visit to this convenient-to-everywhere condo it will be your future go-to spot and beautifully enhance your Costa Rican vacation memories! If you book through VRBO, our management team allows for easy check in and check out procedures 24 hours per day. Upon arrival, a security deposit is collected and is returned upon check out. 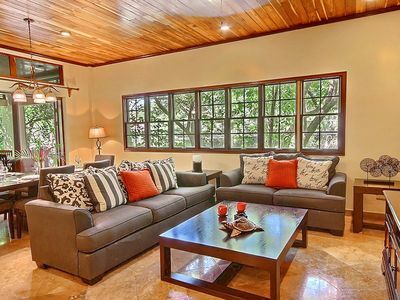 If you are interested in reserving this condo, please Use the in line booking process. A rental agreement will be sent containing details regarding, check in, check out and payment details. We accept major credit cards and payment can be made online through this site. 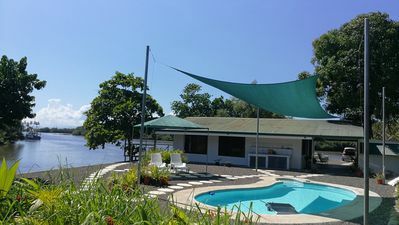 By booking through this site, you will receive all the same services provide by the on-site team. Team members offer check in 24 hours per day. 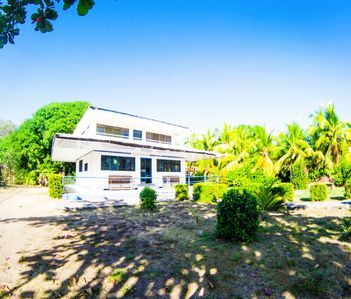 2 Bedroom Bungalow in the Tropics, 10 min Walk to Beach!